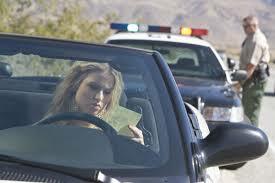 A DUI arrest for a person under the age of 21 could have serious consequences for the years to com. When a person under 21 gets a DUI both the minor and their parents have a lot to sort out. At the Law office of Barry T. Simons we take into consideration the effects a DUI arrest may have on the family, on the minor’s future aspirations and the ability to maintain their daily life. There are several different offenses that could be charged in DUI cases involving persons under 21. A DUI for a person under 21 could result in a (1) year suspension of their license from both the Court and the DMV. That suspension is for one year without any ability to obtain a restricted license. If the minor refused a chemical test, the suspension could be increased to up to three years depending on the amount of priors. At the Law Office of Barry T. Simons, we fight to avoid mandatory suspensions for our clients under 21. We investigate the arrest to determine whether the breath devices used to determine a BAC (Blood Alcohol Content) was properly maintained and calibrated and administered prior to the arrest. We examine the police procedures including, observation of objective symptoms of intoxication, the pre-field sobriety tests questions, and the administration of field sobriety tests used in the investigation. We examine the case ensure the client was fairly evaluated and fairly treated. Many times in a DUI involving a person under 21, the legal level is not a .08 or more Blood Alcohol. Some charges could involve a Blood Alcohol Content of .05% or more or even .01%. Therefore it is important to review each case carefully. We take the necessary actions to protect the client’s privilege to drive and avoid unnecessary or unduly harsh suspensions. We review breath records and blood results to determine their accuracy and whether the samples were properly collected. Both the Court and the DMV have the power to grant a “critical need to drive” restriction upon a satisfactory showing of need. Many Judges will grant this request upon a showing of good cause. The DMV has a significantly higher expectation of need than does the Court and is very reluctant to grant them in the absence of extraordinary circumstances. How you present the critical need and how you demonstrate good cause to grant the restriction is very important. With the proper guidance, many of our clients have been able to obtain a critical need license from the DMV because a proper showing was made to demonstrate the extraordinary circumstances for the need to drive. A DUI arrest could affect future applications for students searching for employment or looking to advance to a specialty school such as medical or law schools. Many graduate school programs do a thorough background check or ask the applicant if they have suffered any misdemeanor or felony arrests or convictions. Terms or duration of probation could also be another consideration when applying to schools. The difference between informal and formal probation could have an effect on a person’s application status to any school. There are several approaches we take at the Law Office of Barry T. Simons for cases involving students and persons under the age of 21 charged with a DUI. Our main goals are to protect the client’s future my looking for strategies to get the case dismissed or to get charges reduced from a misdemeanor to possibly an infraction. It is also important to maintain our client’s driving privileges at the DMV by applying a vigorous defense at the administration per se hearings. At the Law Office of Barry T. Simons, we guide our clients through a stressful process, through the fears that their lives will never reach the potential they once aspired to be. An arrest for a DUI does not mean “the end” and our office provides several strategies to protect our client from the harsh consequences a DUI brings. We counsel our clients through the DMV and court as well as the other consequences a DUI may have on a person under 21 or while in school trying to better their future. It is an undeniable fact that many young people are abusing both alcohol but also drugs and a combination of both. We have strong ties to treatment professionals and work hand and hand with them in appropriate cases to achieve the best possible results not only in court but for the future.